saying hey to all you ford gear heads. had my first mustang 38 years ago, had several toys over the years, but I allways liked the 71-73 mustangs. 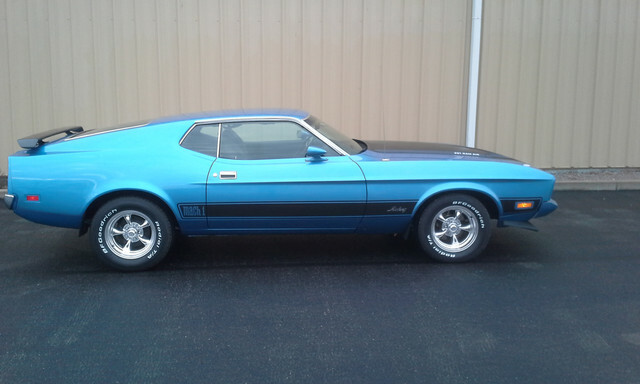 got my 73 mach1 about a year ago, just like my first one but a different color. I can be in a bad mood, go out in garage, sit and look at it and it will put a smile on my face every time. Wow. That blue pops! Welcome from Oklahoma. Looks like a very sharp car. "Smile on face" material for sure!